A little bit of sweet. A little bit of tart. And a whole lotta heaven. Could anything be better than Key Lime Pie? I can’t tell you the first time I tried it. You would think something as pure and delectable as that first bite would be more memorable but I’m sorry to disappoint you. What I do remember about my first time was that it wouldn’t be the last, and one day I would find the perfect Key Lime Pie straight from the source. The holy grail. Enter 2016. We had successfully completed an epic #motherofallroadtrips around the US during the prior year and a half, and our final stop was Florida Keys. Why? For the love of pie, of course. And dessert always comes last. Key Lime Pie is an iconic American dessert. A piecrust crammed with a tart filling made from egg yolks, sweetened condensed milk and Key limes. Some variations sport a perky meringue adornment but the more traditional version is garnished with whipped cream. 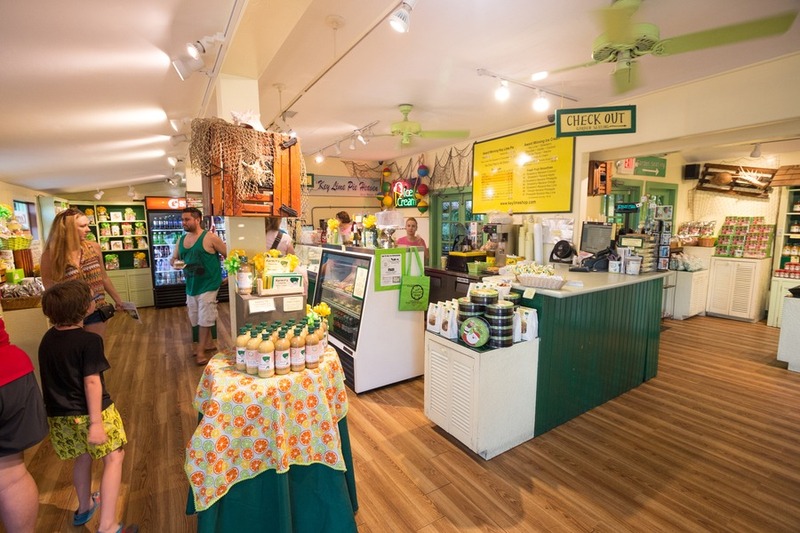 The name is derived from the popular small Key limes that grow throughout the Florida Keys. What makes these limes different? They are more tart and more aromatic than the everyday Persian lime you usually see in the supermarkets. Key lime juice is also yellow, so an authentic Key Lime Pie must be yellow. If ye landlubbers add green food colouring ye deserve to walk the plank. The perfection is in its simplicity. Any food lover’s pilgrimage to the holy land of dessert (aka the United States) would not be complete without a long drive to the narrow string of islands threaded along highway US 1 at the southern tip of Florida. 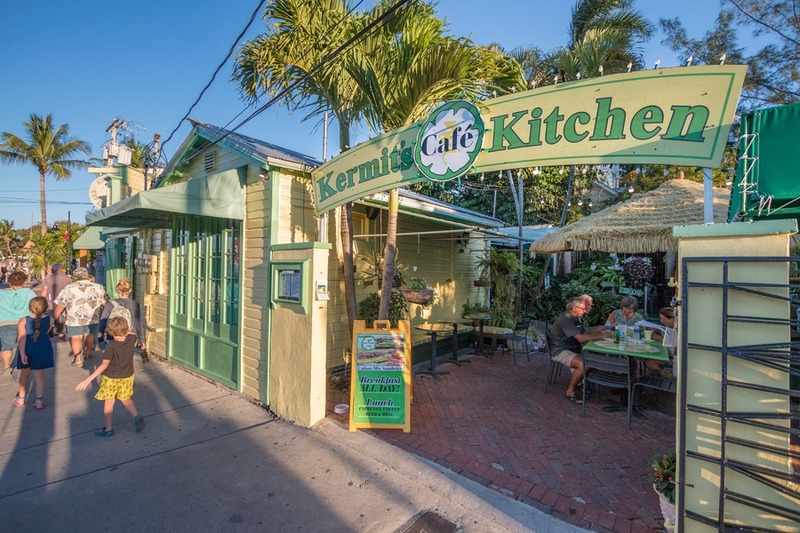 The very birthplace of the Key Lime Pie… the Florida Keys. Here are the best places to stuff your face. This beautiful bakery offers a beautiful aesthetic, capturing the whimsy of my favourite meal of the day (dessert) with its cute décor. Be warned, you’ll want to stay and try every item on the menu. And there is a lot of Key lime to try, not just the pie. We ordered a Key lime cupcake, a Key lime ice cream and, a Key lime pie, of course. The kids loved the ice cream and the cupcake was a delicious surprise. Upon reaching the centre of the spongy cake, the burst of key lime filling sent my tastebuds into overdrive. This was Josh’s favourite pie. It had everything he was looking for in a delicious Key lime pie, the tart, the sweet, the purity, the magic. Whimsical would be one word to describe this establishment. 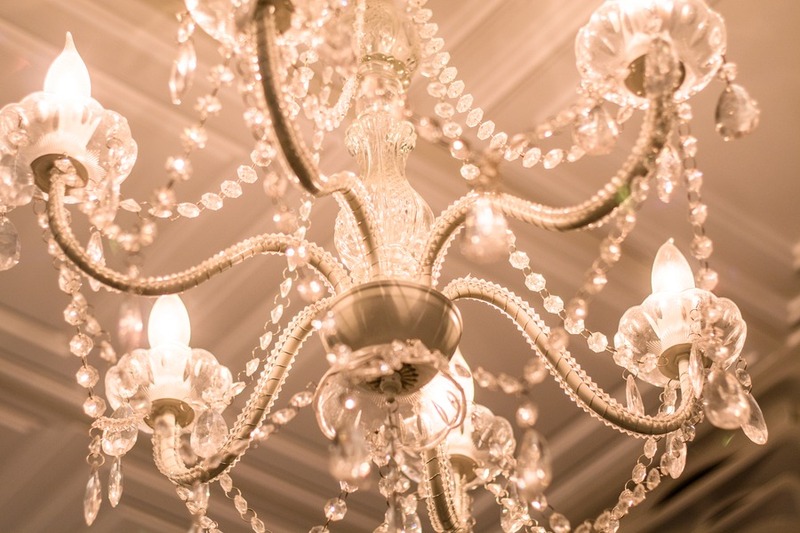 Cute kids toys on sale, adorable tables and chairs, and elaborate chandelier lighting. We visited Sweet Pete’s amazing candy store back in Jacksonville, so we were delighted to find he had his hand in making this Florida fixture. All his pies are handmade and use natural ingredients. The pies are served on a paper plate, which detracts from the elegance of the pie, but the pie was quickly devoured before the plate could even make a difference. This pie was a frozen style compared to the others we tried, which didn’t rock my socks, but it still made for a delicious dessert. Kermit’s was in a nifty location and featured an adorable shaded café out back so that you could really enjoy your pie in comfort. 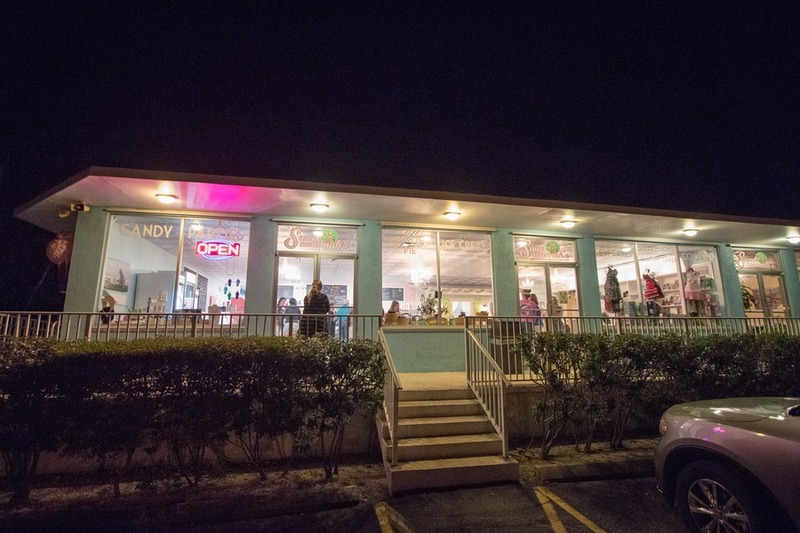 Inside is where the Key West foodie experience rose to another level. 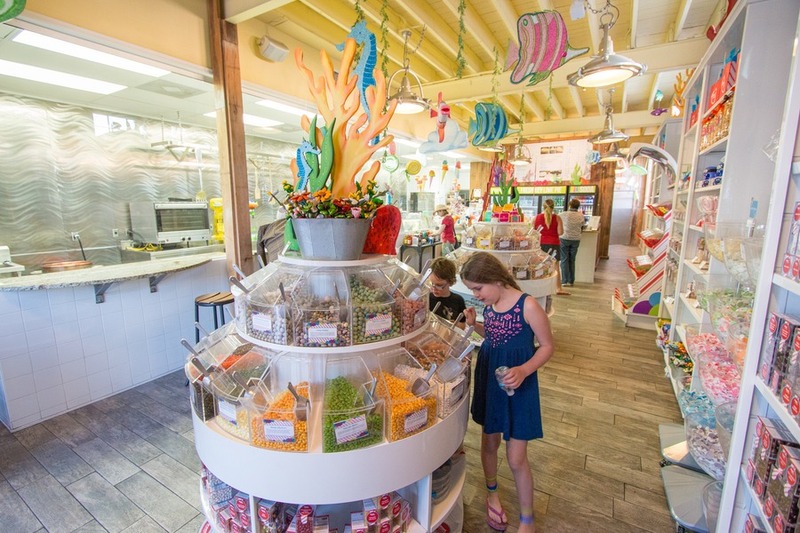 I discovered a wide variety of sweet treats and Key lime inspired goodies –cookies, chocolates, candy, chilli sauce, you name it – and the free taste tests gave the kids a sample of key lime jelly beans, fudge and more. At the crunch time we decided on three delicacies – the Key lime pie (of course), but we coupled that with a strawberry Key lime pie and Key lime pie on a stick. What?! Yes, they put the pie on a stick and then smother it in chocolate! Yumm-o! 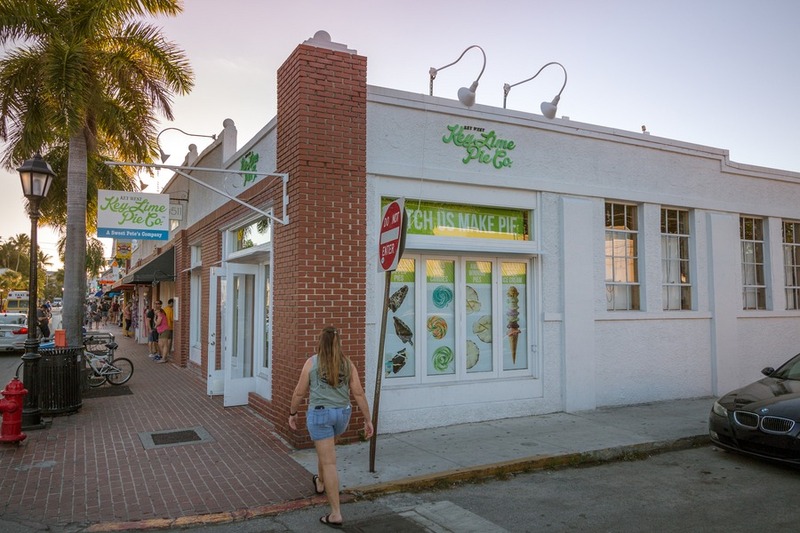 While it’s not quite my favourite Key Lime Pie, it’s definitely something you must experience while in Key West. How come everything tastes so good on a stick? It was our final day in the Keys driving towards Miami airport when we saw a billboard for Mrs Mac’s. We just had to stop one last time for another slice of pie. And I’m so glad we did. This one was my favourite out of all the places we visited. Filling consistency was impeccable, just the right amount of tartness, and the crust was the perfect accompaniment. Mark this one down as a non-negotiable stop on your Florida Keys road trip, for sure. Is your mouth watering? Is your keyboard slimy from pools of drool? Are you looking at flights to Florida Keys right now? If so, please send me a slice of Key Lime Pie as a thank you. I can’t stop thinking about them. While in Florida Keys we stayed at Hawks Cay Resort in Marathon and Doubletree by Hilton Grand Key Resort in Key West. Next time, stop at Ma's Fish Camp in Islamorada. Hands down, the best Key Lime Pie in The Keys. 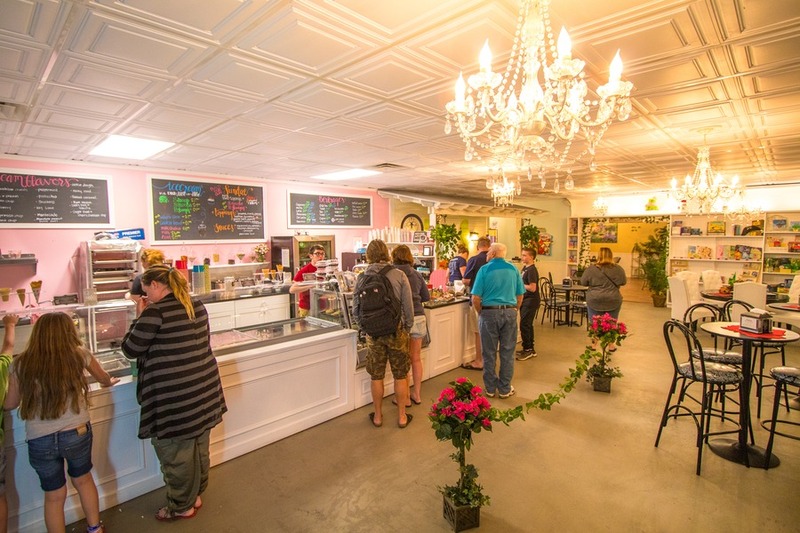 City Hall Cafe in Islamorada has one of the best Home Made Key Lime Pies in the Keys!